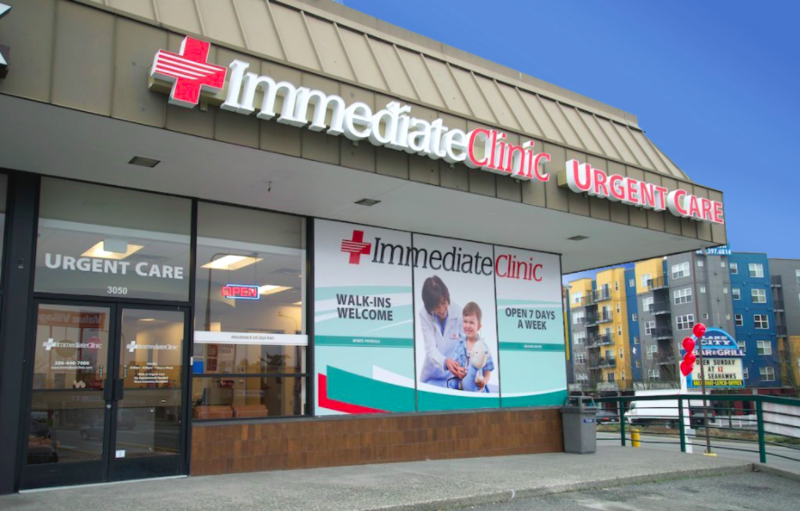 As part of the larger Immediate Clinic, this clinic has affiliates with the closest other clinic being in Shoreline about 3.8 miles away and is open today from 8:00am to 8:00pm. Recognized favorably amongst their patients, Immediate Clinic, Lake City has an average rating of 4.8 stars out of 5 based on 375 total ratings. Great staff and service - I had to catch a plane and they quickly addressed my needs. My daughter had an ear infection and the staff was very friendly with her and got us in quickly. Went in for a reoccurring sinus infection and was seen and treated quickly and correctly! Very knowledgeable and friendly staff! All of the staff is so nice but Jeff is incredible. That man deserves a generous raise with his knowledge and friendliness! Professional and pleasant staff. Wait time was over an hour but at least I was seen today. Your clinical staff was fantastic, friendly, thorough, smart, and offered excellent treatment explainations and options. The only area of improvement might be the initial greeting and triage at the front desk. There is a fine line to walk between the need to quickly triage new walk-ins and greeting them in a way that might elicit responses that would help make triage quicker and more accurate. Everyone was very nice and they took care of each patient in an orderly fashion. Very professional and well organized! Great experience over all. Thank you. The staff were so understanding and supportive when we can in for an issue for our daughter. They helped come up with a plan for a complicated situation and we were completely satisfied with our visit. These guys were awesome. We even consulted with them a few days later and they assisted us with support and guidance. We can’t say enough about their help. I received quick help with all the information the doctor was able to give me. The facilities could be cleaner though. Prompt, efficient. Nice to see caregivers who have worked at the clinic long term.